If you’re starting a new market or looking to expand your vendor base, you may need help attracting new vendors to your market. We talked with experienced market managers and marketing pros and below is their advice. Did we miss something? Please share it with us! This is a living document for collecting ideas. One of your best recruitment tools is your website. An out-of-date website doesn’t encourage a vendor to apply. Are your application and market rules easy to find? Is the vendor application and acceptance process spelled out? 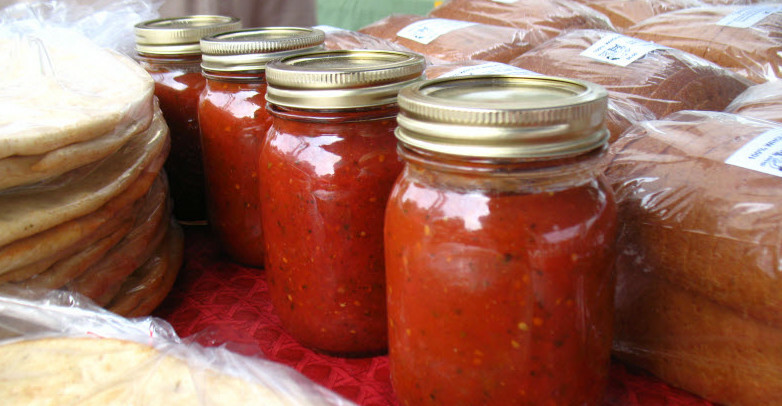 Folks that are new to selling at farmers markets need more details to know what to expect. Do you explain how you will be promoting the market? Are the benefits of joining the market clearly described? A one-page flyer with market highlights and contact information is a great item to have on hand. You can print some to post to bulletin boards or hand to potential vendors. You can also email it to people to share with their networks. Think like this … if you were a newbie and wanted to sell at a farmers market, how would you find markets in your area? For most people these days, that answer is Google. So … go to Google and search “farmers markets in (fill in your locality).” Does your market come up on the first page? If not, are there directories or lists that appear? Is your market on those? If not, add your market to those lists. You can also make sure your market is included in Google Reviews and Yelp. It takes more than a Facebook post these days to reach potential new vendors. Make sure you take advantage of all of your resources and relationships. Be Specific. Have you posted specific announcements on your social media? If you want to add a couple of prepared food vendors, say that. “Chefs and Bakers – do you make delicious breakfast sandwiches, biscuits or pastries? Are you available Saturday mornings? Every week customers and vendors ask us for ready-to-eat breakfast items. Let’s talk! Ask Current Vendors. Your current vendors are some of your best sales people. Ask them if they know someone who might be interested. Also … are there current vendors who might be interested in expanding their products to meet customer demand? Ask Other Market Managers. Another market in your area may be turning away prepared food vendors because they are at capacity in that category. Let them know you are looking and they may be willing to refer those vendors to you. Attending your regional VAFMA group will help you get to know your fellow market managers. We cannot recommend this more – this is your support group! Market Etiquette: Do not show up at another farmers market to recruit vendors without talking to the market manager first. Vendors also won’t appreciate you interrupting their sales period to talk about a different market. Ask Your Partners. Think about all of the organizations that are affiliated with your market –VDACS, Parks and Recreation Department, Social Services office, Non-profit vendors, Cooperative Extension, etc — Share a brief note about your search with them that they can forward or repost. Make it easy for people to share your market’s information. People like to help but they need it to be easy! Ask Your Customers. Frequent shoppers often have dreams of selling at their favorite market. Include a note in your newsletter and add a sign at the market. Extension Agents. Extension agents in your area may be aware of new and beginning farmers who are ready to sell at market. Provide them with a flyer that they can share with their network. Agriculture Educators. Are there universities in your area with ag programs? They may be willing to share information on your market with their network. Local Feed & Seed. Is there a bulletin board where you can post a notice? Ask store staff if they’re willing to help spread the word. Farm Stand and U-Pick Operations. These farms may be interested in joining your market when they have an abundance of produce. Attend Conferences. Meet farmers at winter conferences such as the Virginia Biological Farming Conference, Small Farm Family Conference, Virginia Farm to Table, Virginia Beginning Farmer & Rancher Coalition events and more. Notify Rural Publications. Send a press release to rural newspapers in your area. Restauranteurs. Are there restaurants near your market that may want to reach your customers? Chefs with Food Trucks. Is there a taco truck that you love? Perhaps they would like to set up at your market. Local Canneries. There may be budding food entrepreneurs with jams and jellies ready to sell. Post your flyer at the cannery. Virginia’s Finest. Is there a Virginia’s Finest producer in your area? Approach them about selling their products at your market. Search the directory. Craftshows & Art Festivals. Scroll through the list of vendors on craftshow websites. Artisan Center of Virginia. Browse the database of juried artisans here! Local Boutiques. Browse through small boutique stores featuring jewelry, clothing and art. Local artisans often will try to sell through small shops before thinking about taking their work to market. Art Programs. Contact organizations that offer pottery, woodworking and other art classes. Ask them to spread the word about your market. Art/Craft Supply Stores. Is there a bulletin board at your local art and craft supply stores? Recruiting Farmers and Vendors – Especially Farmers!